It is yet (well, more or less) WIP, and C&C is very welcome! The horse seems a bit... khm - short. The body needs to be longer. Methinks the vikings in general could do with some more contrast to point out their shape and details. I love the vikings but can't make out any details and point them out because I'm on my pad now and everything blurs when I zoom. Yeah I'd say all your soldiers in general could use more contrast. Probably what I'm gonna make for this time, I'll be away for some time again..
which I'm really good at cluttering up. New horse is side view, because to **** with 3/4 horses! (07-10-2015 11:43 AM)Mr.Fahrenheit Wrote: Yeah I'd say all your soldiers in general could use more contrast. (07-10-2015 11:47 AM)Krutzelpuntz Wrote: How's the v2 vikings? As Mr.Fahrenheit said, they could use more contrast. As for horses, v3 looks like pony - is that intentional? The vikings had little to do with horses in combat, but they did have some light cavalry, and the nordic horses where quite compact, and not as big as a "normal" horse. Mostly they where used for easier travel, even to the battlefield, where they would unmount. But even v2 vikings needs more contrast.. Updated with a new WWI army. Might have to play a bit with the colors/contrast of the two trucks. You still should have downwards-pointing-sword-fire-pose. Also the second officer (the one with pistol) pose is... weird. It looks broken to me. You haven't updated the Whippet shading too. Also rule of cool and stuff so it's okay, but WWI pilots didin't really have scarfs flowing behind them. Also, it seems that green truck has different shade of tires than other vehicles. Thanks for the comment, it's fixed, although I kinda like the pilots scarf. I imagine him running from a plane crash, or something. Also made a horse wagon and a bike, yay! I am not sure if halftracks were so common in WWI. Also, I dislike shhoting stance of riflemen, they seem to keep rifles too high. Currently, they're staring at rifle's buttstock. Halftracks suerly existed in Russia around 1913, though Kégresse, the guy who designed them for Russia returned to France before end of WWI, so there is a chance one would be used, but those proably were unique (the Russian ones were converted from regular cars for Tsar). Actually everyone considered them but they thought that they aren't good enough to replace wheeled or full tracked vehicles (apart from Americans, but their Holt Tractor doesn't exactly resemble a truck). 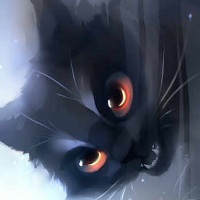 Also, I think I saw one somewhere in BoE (that one Men Of War game in WWI) but I can't find it on internet. Don't know a lot about WWI. It is very difficult to research on the internet, as there are very few sources, and none really reliable. 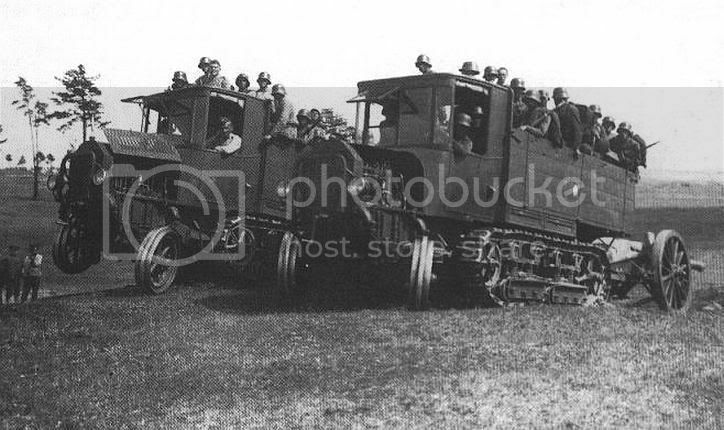 But there definitely where half-tracks in the German army, from 1916, I think (don't know ). I don't know how much they where used, but they where. Thanks for the head up about the rifles Stefman! I put names on my vehicles, and added the canon btw. Eh, this just proves that books still have place these days. Also you need more wepon. Lugers and C96s, MP 18, scoped rifles, feldspaten, trench clubs and detached bayonets as close combat weapons. Also grenades. Also Stahlhelms of course. Because I'm going to make the other side of razor wire fence. By the way, will you have anything against me using your stuff in my army (Whippet mostly, maybe your infantry as base for Tommies and French, it would be weird if we had two completly different ones around) so in case we fight one day (? :>), the armies will be in similar style." Also you should totally take a shot at Sturmpanzerwagen Oberschlesien, even if it never managed to enter production. I didn't find it easy.. 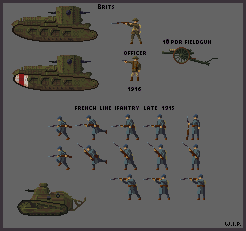 Put up some more WW1 stuff, now featuring the french built Renault FT17. I wish you made some bigger tanks. Ooooh, I also want to see early war French infantry, with red pants and stuff. Anyways, I polished my spacestuffs..